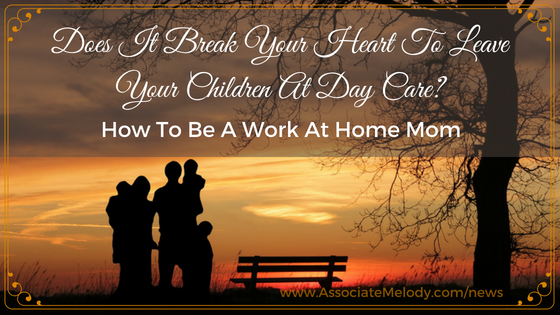 Does It Break Your Heart To Leave Your Children At Day Care? Many moms have found great success running their own direct sales home business and you can too. They enjoy the freedom and flexibility it gives them to earn an income for their family while being available for their children. Whether it’s because of the low start-up costs, the fun they have selling certain products, or the security their offered by having a big company behind their efforts, a direct sales career is a very viable and possibly profitable lifestyle. When you factor in child care expenses, clothing costs, vehicle or commute expenses and higher food costs due to eating out, convenience foods or take-out meals, staying home can make more sense financially. Does this sounds good to you, but now you are wondering how can I do this? Some women join a direct sales company while still working at a full-time job, then quit their job after they reach a certain level with their direct selling career. Others start while they are off work on maternity leave and decide not to go back to their job. Or they may have lost their job and haven’t found a new one so they decide to give direct sales a try. First, take your time, research some opportunities, and ask questions. You’ll find some suggestions on how to choose the right direct sales company below. You’ll also need to think about when you will work your business and how much time you can set aside for it each week. Look for and research a direct sales company who offer products you’ll like and use. If you aren’t familiar with the products become a customer first and order some to try. Tip: You’ll be more successful if you use the products. Talk to a few consultants to help you choose your potential sponsor with the company you want to join. Once you’ve decided on a sponsor, join and place your first order for products and business supplies. Contact your sponsor, they should be available to help you get started. Start marketing the products and spreading the word about your new business. Imagine getting up each morning, feeding your family a nice, unhurried breakfast and kissing your husband goodbye before he goes off to work. Then, you dress the children and get on with your day. Your schedule will likely include doing the dishes, some housework or errands, an hour working on your business and best of all time to play with your child. After a healthy home-cooked dinner, once the little ones are safely sound asleep you’ll enjoy the evening with your spouse. Can you picture it now? The question many people who are interested in joining a direct sales company have is “How do I know which one to choose?” Here are a few tips to help you make the right choice for you. What types of products do you enjoy using yourself? What do you feel strongly about? Do you enjoy cooking and or baking? A company that sells food or kitchen items might be a good fit. Are you a makeup whiz or do you love jewelry? There’s a company for you. If you feel strongly about certain issues, for example, if being green is important to you, you’ll want to know if the company supports your issues and concerns. Is the company, including your potential sponsor and upline helpful and supportive to new Consultants? You can find this out by seeing how much information that’s available to those interested in joining, but don’t stop there. You’ll also want to talk to a representative or consultant and ask them lots of questions. This way you’ll get a feel for how well they will work with you should you join them. Ask questions about their direct sales training. Sometimes direct sales teams are great, but the company itself won’t always have information available for their consultants which will make it more difficult for you to grow a business. You’ll need to determine the amount necessary to not only purchase your membership but also how things work if you need to return items or order more products. Will you be required to carry an inventory, do you only order from the company when someone places an order with you or can you do both? Are there certain quotas or ordering requirements you must meet monthly, quarterly or annually? If so, you’ll want to consider if you can realistically meet those quotas and what you will need to do to meet them. What about marketing materials like catalogs? What marketing materials does the company offer you? Most have printed catalogs, flyers and supporting business supplies. What are the rules if you want to create your own materials to promote your business? Some companies will not allow you to have a website or create business cards unless they have certain things on them. Others won’t allow you to use their logos or name on any outside promotional material. Taking care of your family is a full-time job. You lead a busy life and if you have a job away from home it’s even busier. If you want to have more time to live every day to the fullest. I rediscovered Watkins at a home party many years ago when I was a young Mother. I remembered the Watkins products my Mom used in our home when I was a child. So, I bought some items and was impressed by the quality and the money back satisfaction guarantee. It wasn’t long before I became good friends and a loyal customer with my Consultant. Eventually joined to start my own business. I had been with another company and was intrigued by how Watkins worked. There were more options and the opportunity to grow a business. I also loved that Watkins products have been trusted by generations for 150 years. The history and integrity of the company. 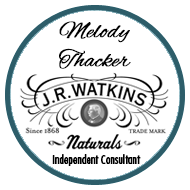 From our natural home care cleaning line to our natural spices and extracts, Watkins has products many people will love. By becoming part of our Watkins family you will have joined a company that offers consumable products you will be proud to share with family, friends, and everyone you meet. FAQ Do you have more questions? You are welcome to call me toll-free 1-866-452-6948 if you have any questions or need help. Do You Want To Be A Watkins Work At Home Mom? Are you ready to get started on your dream? For only $29.95 (plus sales tax) you can! Join us this month, October 2018 and you can join for only $19.95 (plus sales tax) and save $10.00! Or request your free, no obligation Watkins catalog and career opportunity information today!